Internationally, there is a growing focus on protecting important biodiversity found on privately owned land. Recently, the potential for Privately Protected Areas (PPAs) to contribute to conservation has been emphasised by the International Union for Conservation of Nature (IUCN). Indeed, in some countries, PPAs are included in a nation’s effort to meet international conservation targets. PPAs can be created in a variety of ways. These include acquiring land and holding it, or placing a conservation covenant on the land (see Decision Point #97). A major constraint on the creation of PPAs, however, can be a lack of financial resources, particularly where land is expensive to buy and manage as a private conservation reserve, or where existing landowners are reluctant to enter into permanent conservation agreements. One strategy conservation organisations have employed to deal with these issues is to purchase land with ecological assets, and then resell that land to new conservation-minded owners, in the process adding a permanent conservation agreement (such as a covenant or easement). The proceeds from the sale can then be used to purchase and protect additional land. In Australia, this approach is referred to as a revolving fund (see Decision Point #102). Sounds like a smart solution, right? Surprisingly, given that many revolving funds are in operation around the world, not much is known about the process of buying, protecting and reselling land for this purpose, and how it works. In fact, the approach has a variety of different names (and variants in the manner in which they operate), so for clarity here we refer to revolving funds established to enhance conservation as purchase-protect-resale programs, or PPR. What’s been achieved by the PPR approach to date? What are the benefits of buying and reselling land for conservation? What are the challenges? With these questions in mind, we systematically reviewed the literature on this approach to find out more. 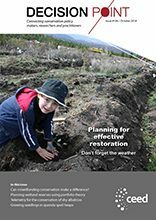 Purchase–protect–resale (PPR) programs allow conservation organisations to acquire private land with important ecological assets, and resell it with an agreement to protect biodiversity, enabling cost recovery. As of June 2018, globally more than US$384m is available for land protection through purchase-protect-resale programs. Collectively more than 684,000 hectares have been protected to date. Globally, we found more than US$384m available for land purchase and protection in these types of programs. Collectively, PPR has protected more than 684,000 hectares. 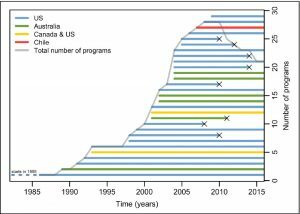 Whilst most of the programs are operating in the United States, Australia’s programs have also made their mark, protecting more than a fifth of the global total (of PPR programs). In reviewing the literature, we identified several common themes emerging from PPR programs around the world. To begin with, this strategy comes with a wide variety of benefits. Some of these benefits are unique to PPR, such as the ability to recycle money. Other benefits neatly aligned with the aspirations of mainstream conservation strategies. These include the ability to target important conservation land, and shifting land to conservation-minded ownership. We also uncovered a number of challenges. Again, some of these challenges were unique to PPR, such as the limited market demand for buying conservation land, and the pressure for continual purchase and resale (turnover) to achieve conservation. And some challenges were similar to those experienced by other conservation approaches, such as finding ways to recover costs, working within a dynamic market, and having to make decisions based on incomplete information. 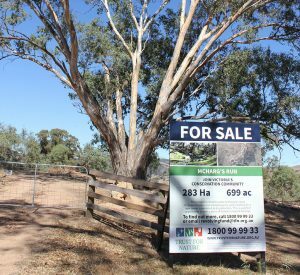 The ability to recover costs through resale suggests an important role for PPR in private land conservation, particularly where land is expensive. And its ability to intervene in the property market suggests that, at least at the point of sale, it can step in and protect land where the previous owner has been unwilling or unable to protect their land. However, whilst it all sounds promising, we also found few evaluations of PPR programs. PPR is also likely restricted to certain types of properties, and won’t be appropriate in all circumstances. In a previous study, we showed how managers focus their acquisitions on properties with values beyond conservation, such as amenity (see Decision Point #102). The role of PPR is therefore likely as part of the broader mix of private land conservation approaches. PPR requires complex decision-making, and we suggest further research could help programs identify and prioritise suitable properties. In particular, economic theory could prove useful for thinking about how to use PPR strategically, for example should managers focus their efforts on smaller properties likely to be resold faster, or accept slow turnover of properties with exceptionally high conservation value? Our review suggests that where suitable market conditions exist, and with appropriate property selection, PPR programs show promise as a self-sustaining approach for permanently protecting biodiversity on private land. Whilst these programs are unlikely to work in all circumstances, they appear a valuable complement to other approaches used by conservation organisations to create PPAs. PPR may be particularly useful where land is expensive or the creation of conservation reserves is otherwise unlikely.